Busy moms need quick meal solutions that work. So, if you're a busy mom like me who's looking for quick and easy dinner recipes to feed your family, you will LOVE the newest product from Ajinomoto. Enter Sarsaya Oyster Sauce. 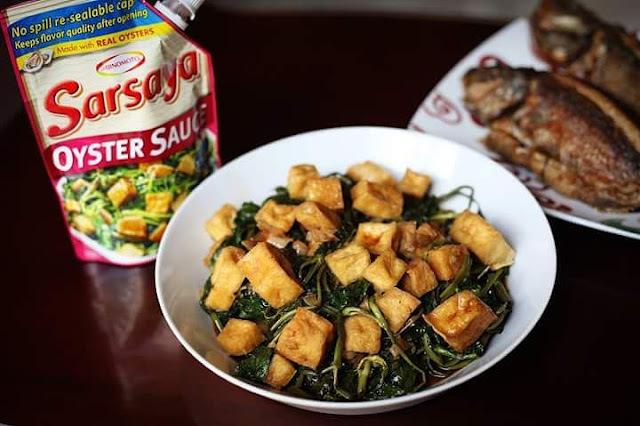 I received a package from Ajinomoto and that is why I discovered the convenience of using Sarsaya® Oyster Sauce to turn ordinary dishes extra special and flavorful. delicious blend of savory, sweet and salty taste to any dish. It is a unique brand of oyster sauce that is created to suit Filipino taste and preference, making many Filipino dishes like ginisang kangkong and adobo more flavorful and delicious. Fun Fact: No less than the Primetime King, Mr. Coco Martin, was chosen to endorse Sarsaya Oyster Sauce. Aside from being a big fan of his grandmother’s cooking, Coco graduated with a degree in Hotel and Restaurant Management. He loved how it can add that delicious and authentic oyster flavor that truly enhances simple dishes. and fried tokwa. Continue stir-frying. 3. Add SARSAYA Oyster Sauce. Mix and stir-fry for 1 minute. Serve hot. As it turns out, it was one of the best, healthiest and simplest recipes I’ve cooked in a long time, and the kids loved it! Ajinomoto's Sarsaya Oyster Sauce is a lifesaver for busy moms! 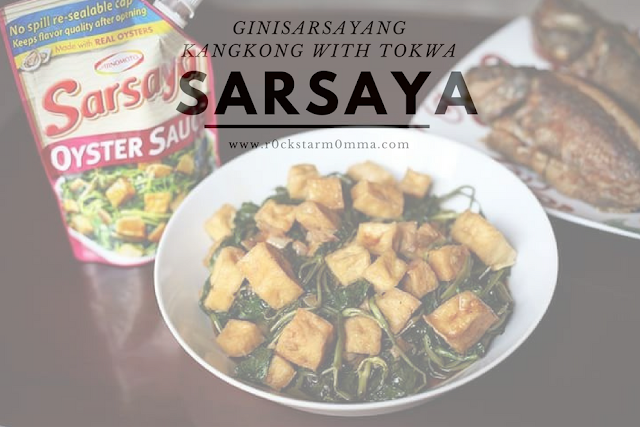 Try out this recipe using Sarsaya Oyster Sauce, and you'll surely find a new family favorite.